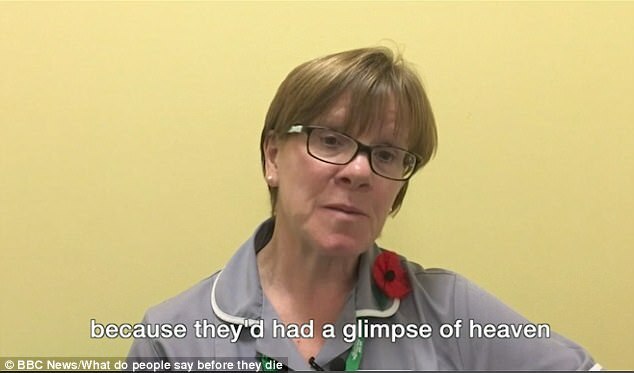 Nurses who care for the terminally ill have revealed the heart-wrenching last words of patients before they die, including their biggest regrets, fears and witnessing glimpses of heaven. 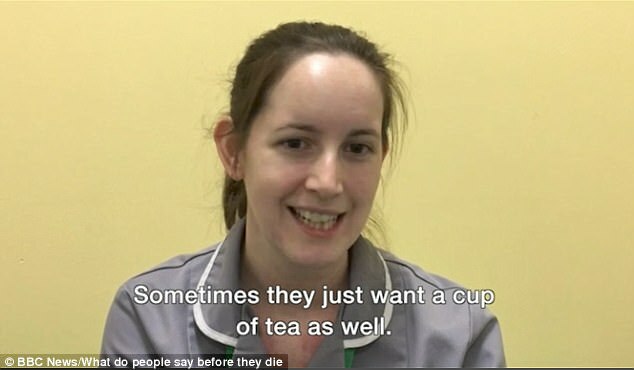 Macmillan palliative care nurses at Royal Stoke University Hospital in Stoke-on-Trent, Staffordshire, say patients often wish to see their beloved pet one last time, while others simply request a cup of tea. Previous research from the University of North Carolina found the terminally ill and those on death row are more positive than might be expected, with many calling on family and religion to ease the anxiety of their passing. 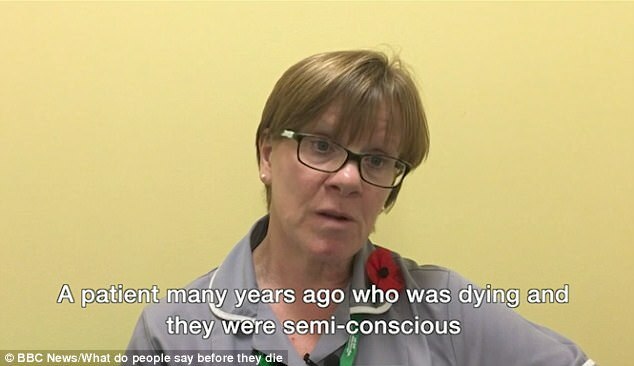 In an online BBC clip 'What do people say before they die? 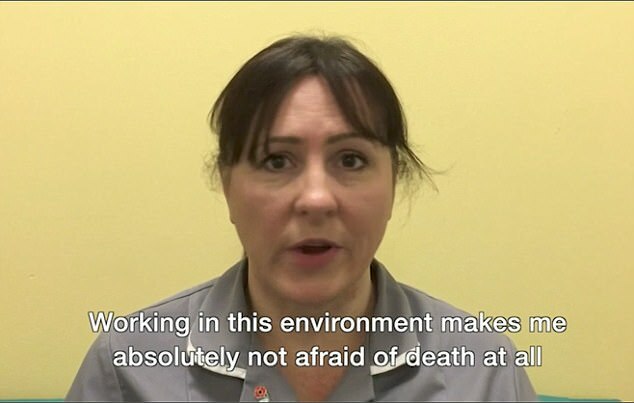 ', the nurses add it is possible to have a 'good death' and explain why people should not be afraid of passing on. Past research from the University of North Carolina reveals the blog posts of terminally ill patients are surprisingly uplifting, with the number of positive words increasing as they approach death. Many also mention family and religion, suggesting these ease their anxiety. Lead author Kurt Gray said: 'When we imagine our emotions as we approach death, we think mostly of sadness and terror. 'But it turns out, dying is less sad and terrifying - and happier - than you think. The team add it is possible to have a 'good death', saying communication is key, as well as being pain-free and surrounded by family. People should openly discuss death and prepare in advance for the end of their lives, they add.